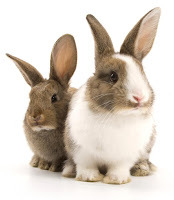 Arden House Vets: Brrrr.......Bunnies and guinea pigs in Winter. 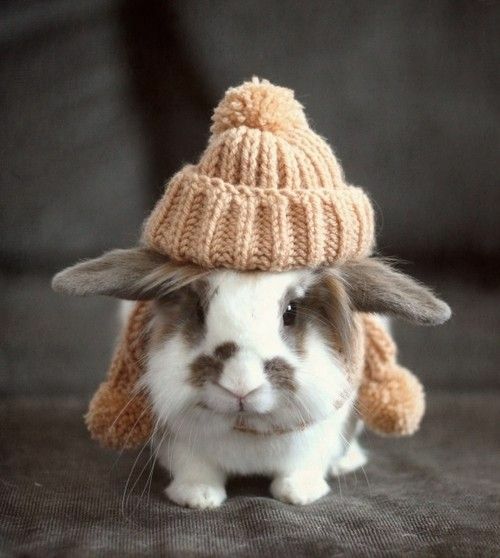 Brrrr.......Bunnies and guinea pigs in Winter. Winter can be a difficult time for our outdoor pets. It is important to take steps to ensure that they remain happy and hhiealthy throughout the cold months. If possible, move the hutch indoors to a cool room of the house or into a shed, porch or unused garage. Do not put the hutch in the garage if you park a car in it. The exhaust fumes are dangerous for them. 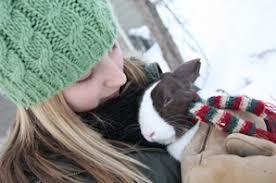 If it is not possible to bring the hutch inside,then ensure that the hutch is in a sheltered area of the garden. It needs to be raised off of the ground, so if the hutch has not got long legs, place some bricks underneath. This will help to prevent the damp from the ground affecting the bottom of the hutch. 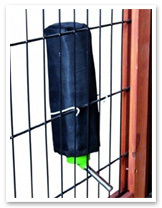 Rabbits and guinea pigs need protection from draughts and damp! Check the hutch walls and roof to ensure that there are are no gaps through which rain and wind can get in. Put sheets of newspaper and a blanket or duvet onto the roof and let it hang down the back and sides of the hutch to provide extra insulation.Then protect it by securing a waterproof plastic sheet over the top (tarpaulin is a good choice) or you can purchase a waterproof hutch cover from a pet store. Use layers of newspaper to line the base of the hutch. Newspaper is a good insulator. Place a thick layer of super absorbent litter like Excel bedding and litter or Smartbedz on top of the newspaper. It will help to absorb urine and keep the hutch drier and warmer. 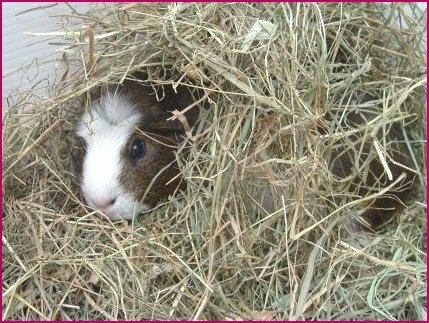 Provide lots of extra hay as bedding so that they can snuggle into it. A cardboard box with a hole cut in one side and filled with some hay will give them somewhere a bit more insulated to sit. (Make sure that they have enough room in the rest of the hutch to stretch out). A pet-safe microwaveable heat pad is a safe option to add warmth on an icy night. 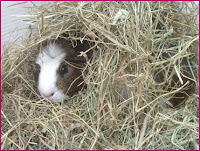 During the daytime your rabbits and guinea pigs will welcome some fresh air and winter sun so leave the front uncovered. Ensure that the hutch has a bedroom section that they can retreat into. 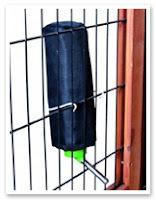 Should the weather be poor, a clear plastic or perspex sheet can be placed over the mesh front so that your pet can still see out, light can get in, but it keeps the wind and rain out. The hutch front should be covered overnight. When covering the hutch front, It is important to make sure that there is sufficient ventilation - allow air to circulate through the hutch. Don't seal the hutch off completely. Your outdoor pets must be checked regularly, at least three times a day . Ensure that the hutch is not leaking and is still protected from the elements( e.g covers are in place and haven't blown away). Check that their bedding is dry - damp, soiled bedding must be changed promptly. Provide them with fresh food (nuggets and hay) and fresh veggies. Check water bottles frequently in case they have frozen. The drinking spout needs to be checked too as it can ice up. Have a couple of spare bottles available so that they can be swapped over if necessary.A bottle snug is a good idea to help prevent the water freezing - the water should still be checked. Observe your pet to ensure that they have eaten and been to the toilet and that they are bright and alert. Any concerns should not be ignored. 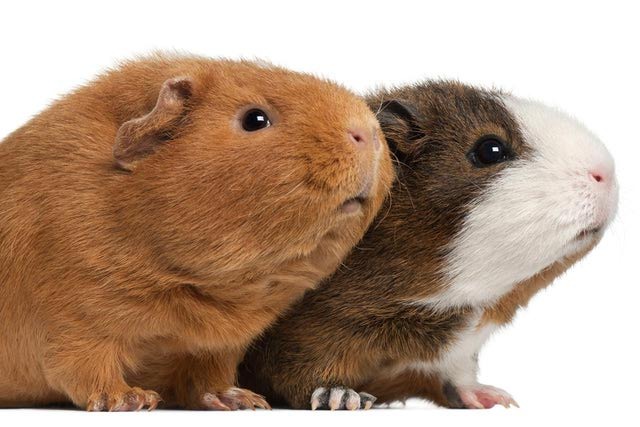 If they appear sleepy or not really reacting to anything, you must book an urgent appointment with the vet. Remember that the hutch still needs a thorough clean each week. Exercise is still important during the Winter. Bring them indoors to a cool room for a run around, or let them have a short time in the garden ( as long as the grass is not soaking wet). 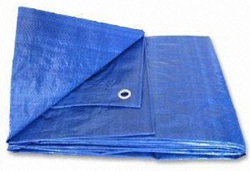 Covering a run with tarpaulin provides a dry sheltered area for exercise. Position the run so that it gets the warm winter sunshine. Try to prevent your pet from getting too wet or cold. Should they get wet, towel them dry and allow them to warm up naturally indoors. Remember, your pets still rely on you for their regular routine. So even though it’s wet, miserable and cold out there, everything should remain as close to normal as possible.This includes feed time, play time, snuggle time, and cleaning time. So wrap up warm and head outside!